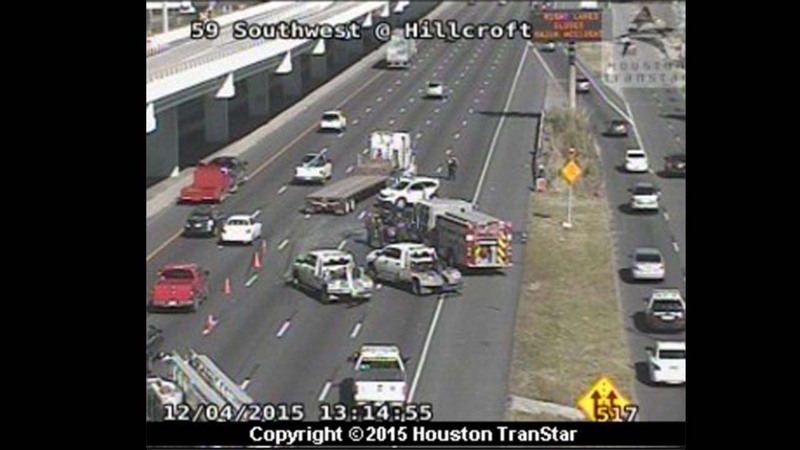 HOUSTON (KTRK) -- At least six vehicles are involved in an accident on the Southwest Freeway northbound a Hillcroft. Four lanes are blocked in the area and two lanes are creeping by the accident. Several emergency vehicles are on the scene.